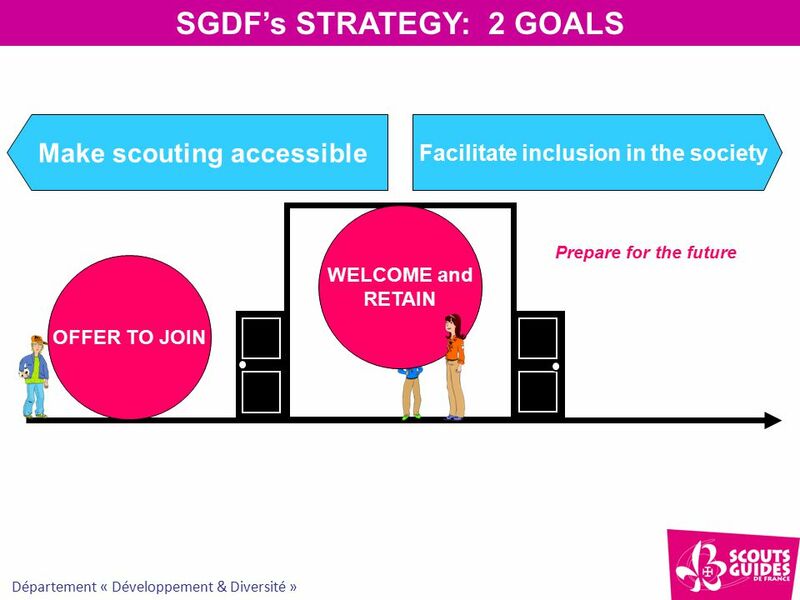 Département « Développement & Diversité » How may scouting grow for all? 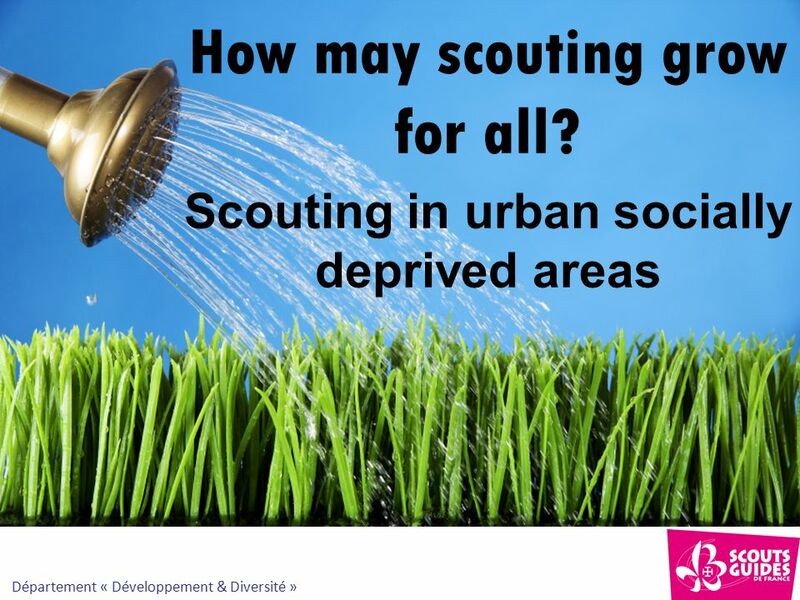 Scouting in urban socially deprived areas. 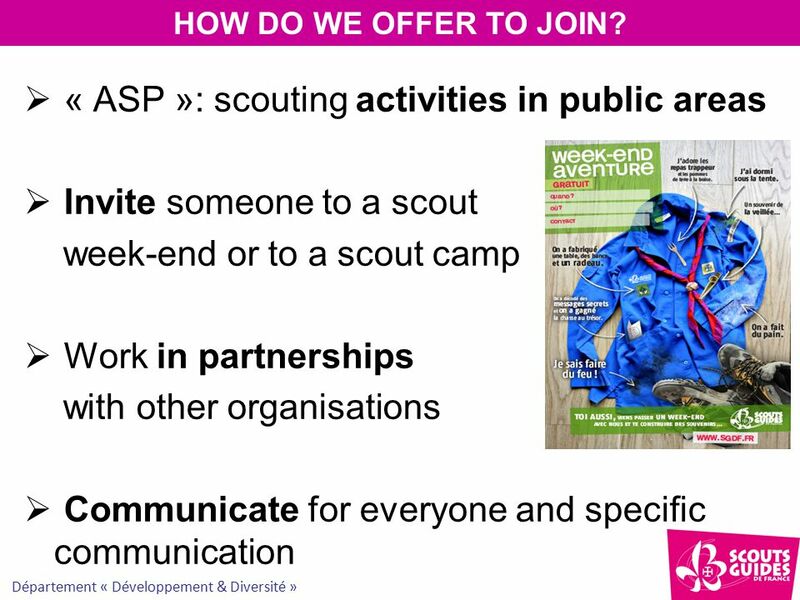 10 Département « Développement & Diversité »  « ASP »: scouting activities in public areas  Invite someone to a scout week-end or to a scout camp  Work in partnerships with other organisations  Communicate for everyone and specific communication HOW DO WE OFFER TO JOIN? 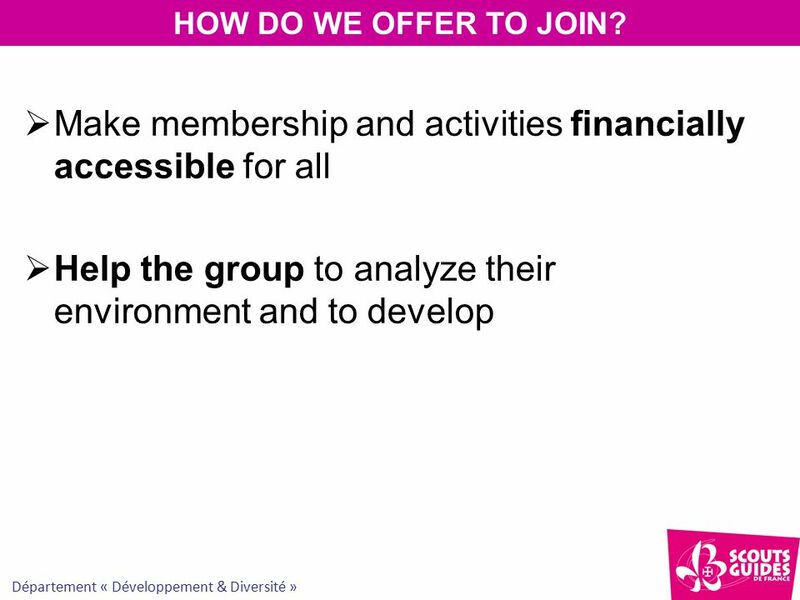 11 Département « Développement & Diversité »  Make membership and activities financially accessible for all  Help the group to analyze their environment and to develop HOW DO WE OFFER TO JOIN? 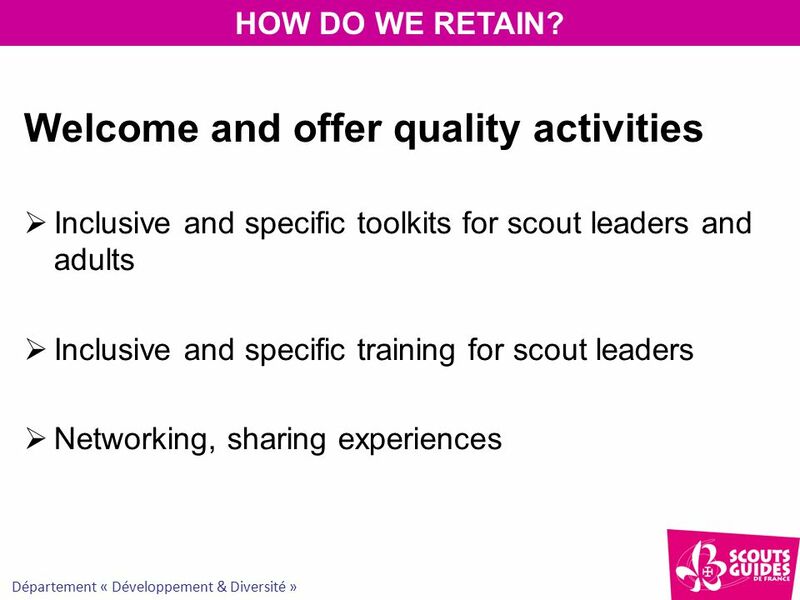 12 Département « Développement & Diversité » Welcome and offer quality activities  Inclusive and specific toolkits for scout leaders and adults  Inclusive and specific training for scout leaders  Networking, sharing experiences HOW DO WE RETAIN? 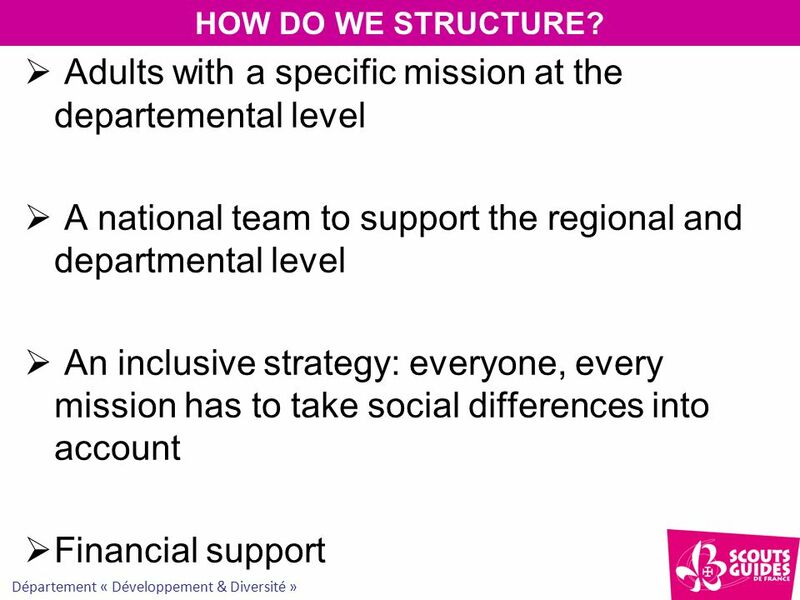 14  Adults with a specific mission at the departemental level  A national team to support the regional and departmental level  An inclusive strategy: everyone, every mission has to take social differences into account  Financial support HOW DO WE STRUCTURE? 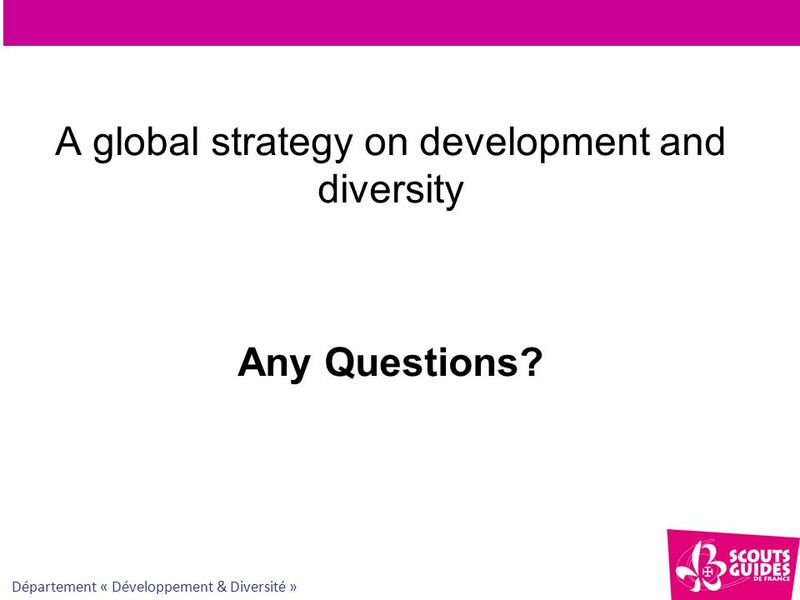 16 Département « Développement & Diversité » A global strategy on development and diversity Any Questions? 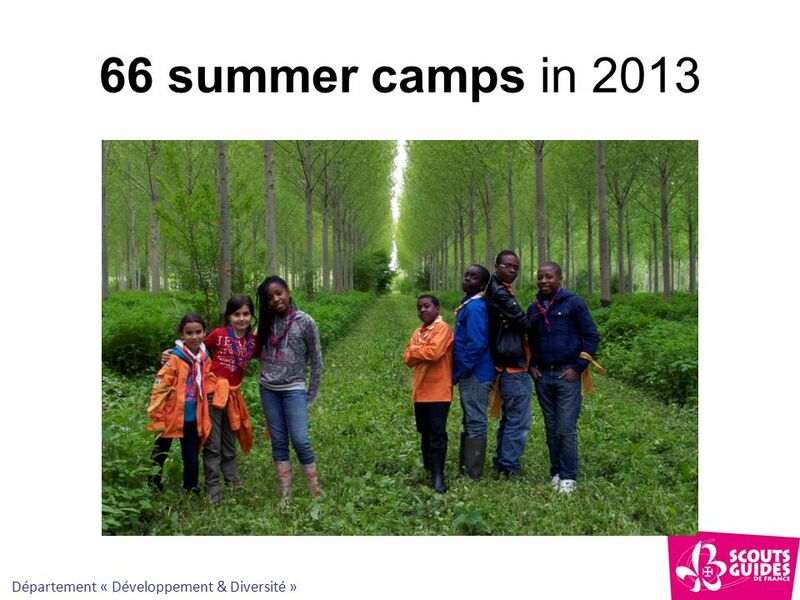 Download ppt "Département « Développement & Diversité » How may scouting grow for all? 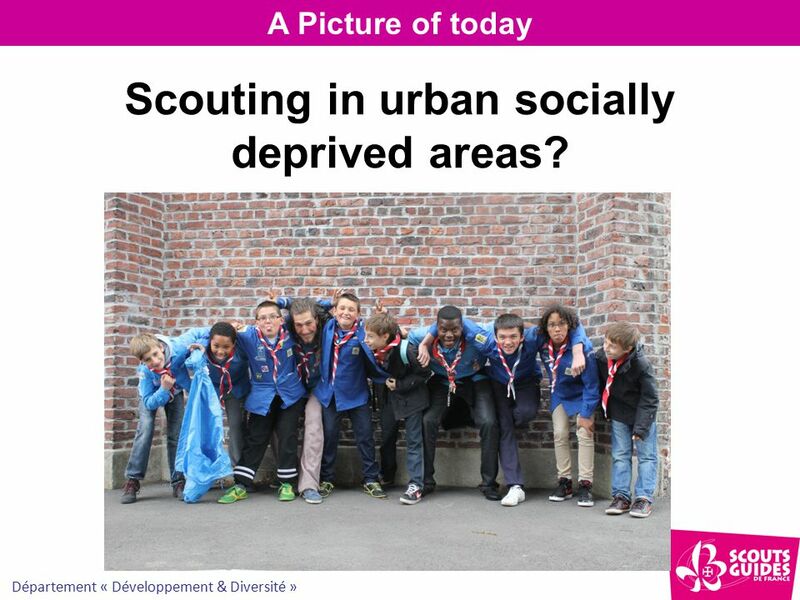 Scouting in urban socially deprived areas." 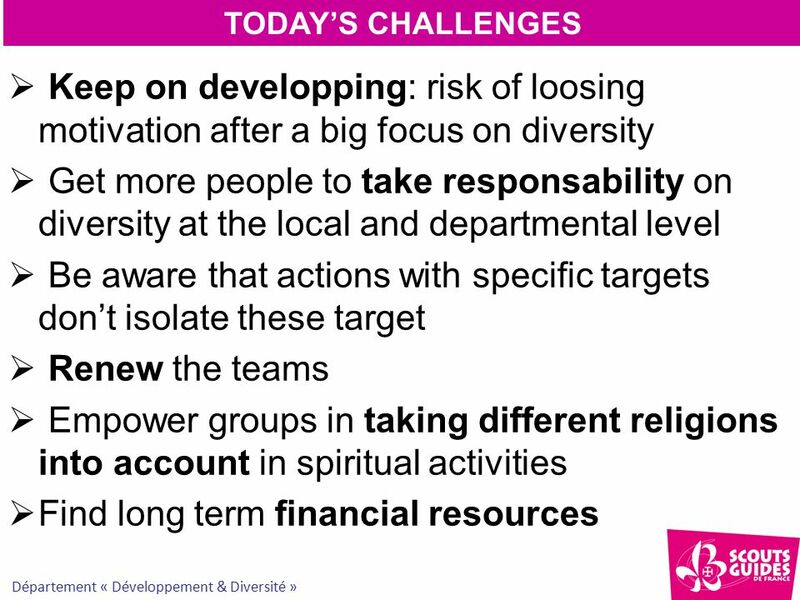 Universal Access to Affordable Credit Jenny Rossiter Urban Development Consultant. THE RECIPE FOR SUCCESS Partnership between the Organization and the Family Association for relocation success ©WBG & WBFN, March 2010, FIGT. Bl. Kateri Tekakwitha Region Annual Report for Ad Hoc Panel April 2009 Bl. Kateri Tekakwitha Region Annual Report for Ad Hoc Panel April 2009. Presented by Ethnic Caucus March 2, 2012 FAMILY VIOLENCE & SEXUAL VIOLENCE PREVENTION HUI. 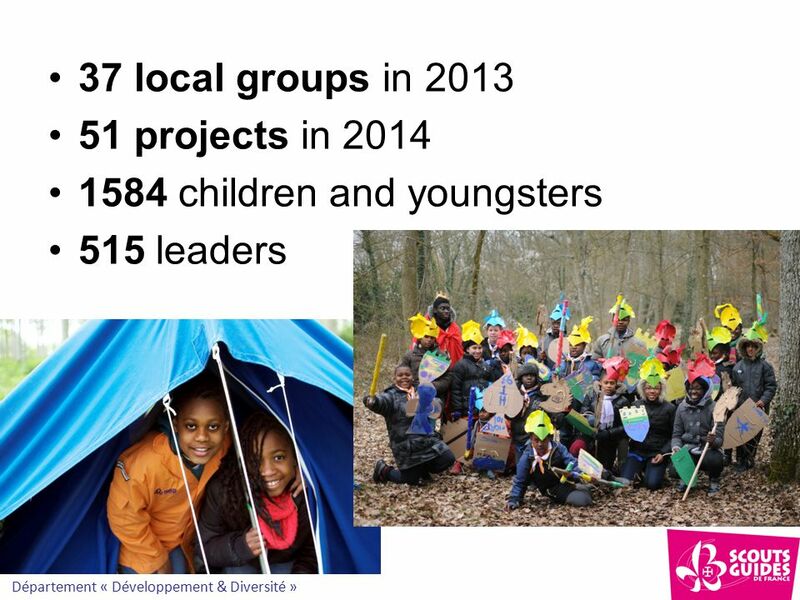 M ESSENGERS O F P EACE FOS Open Scouting deals consciously with diversity. A New Vision for Summer School Jeff Smink March 15, 2011 Rhode Island Afterschool Plus Alliance. 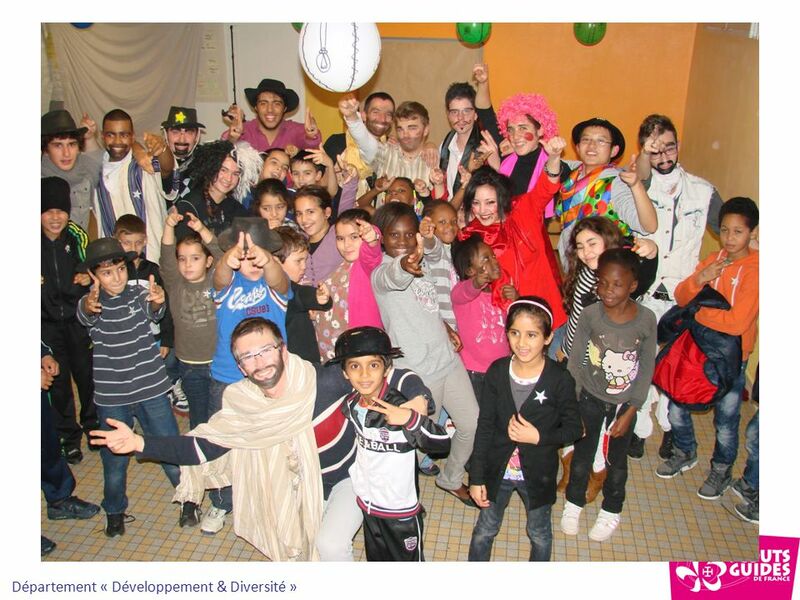 Welcome to the TC Rainbow Show Brasov, 20 October 2005 European YOUTH Programme. HOW TO START A FAMILY LIFE GROUP. (in three months) 2 months: Pray 3rd month: action! Leadership Cases Group Presentation Instructions. Membership Matters. Why is taking action to grow membership so vital in today’s PTA? Less members = less voice. Young Company Clothing Interview with Brian Clark and Ndzi Tante By Gemayel Floyd MSM 620 Bellevue University. 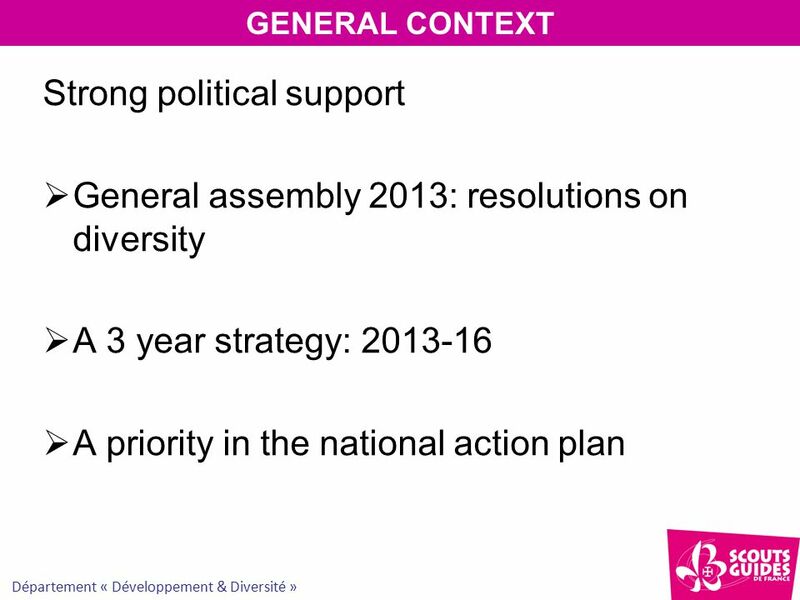 Promoting Disability Equality in Ireland The Role of DESSA – the Disability Equality Specialist Support Agency Presentation to the FRC National Forum. Module 1 Essential Information. 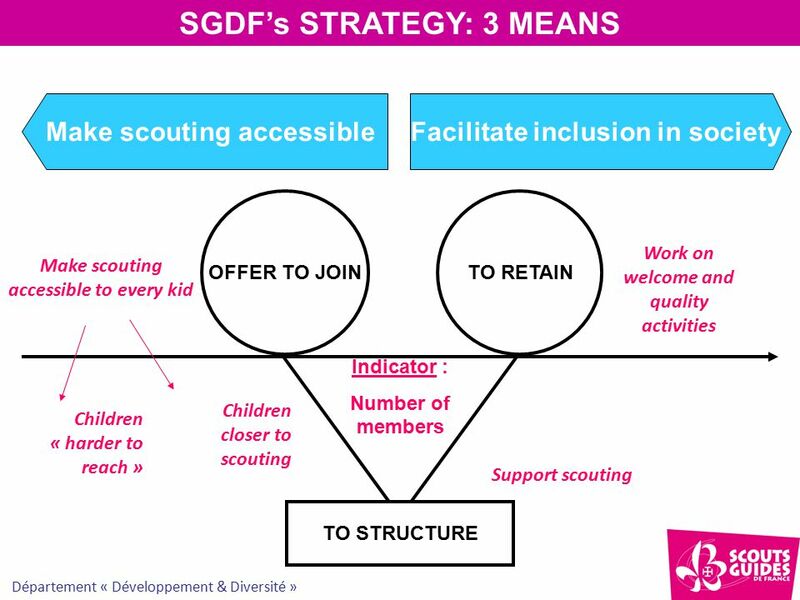 Session 1 Objectives: Outline the Purpose, Values and Method of Scouting and explain how they can be implemented within. 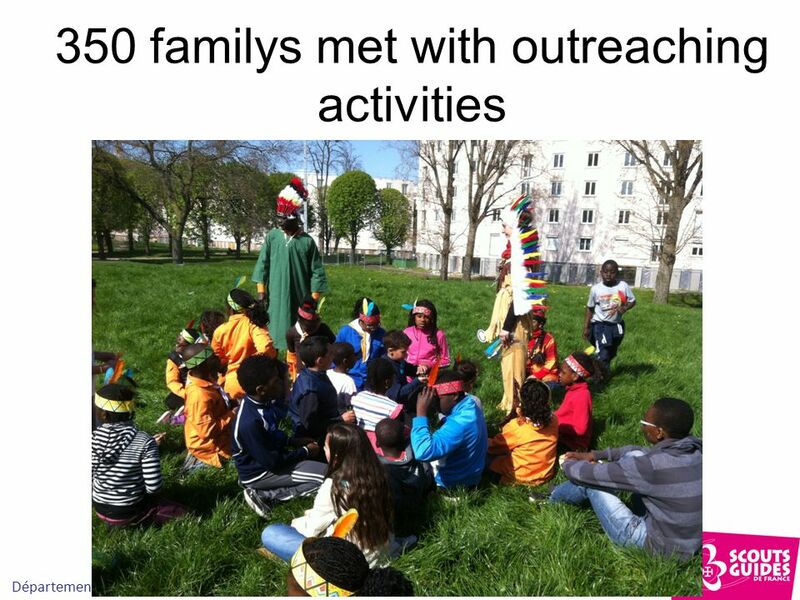 The Council agreed that under this renewed framework "youth work" is a broad term covering a large scope of activities of a social, cultural, educational. Kaleigh Cook. 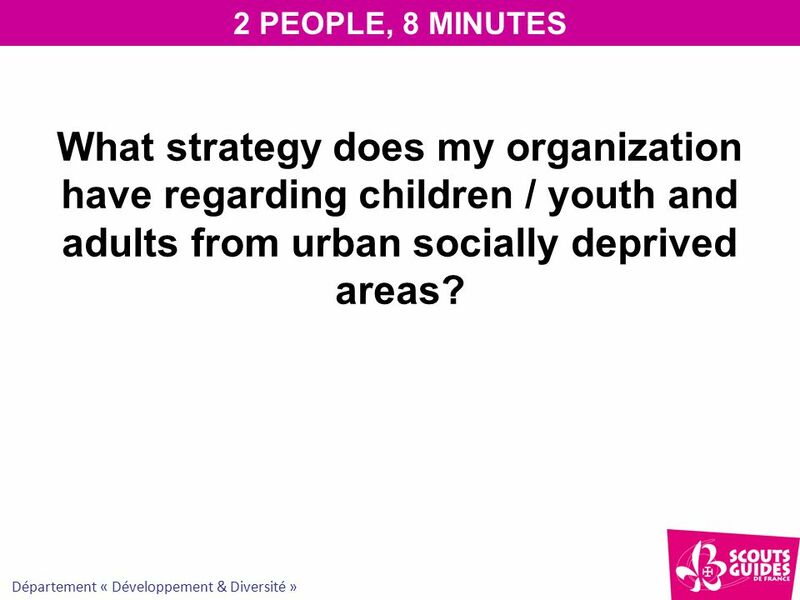 What is Youth Alive? Youth Alive is an AG (First Assembly of God) Youth ministry. De Queen First Assembly Youth Ministry.